In Bangladesh, money earmarked for climate protection is often vanishing due to corruption and mismanagement. Transparency International wants to add clarity and ensure a change. 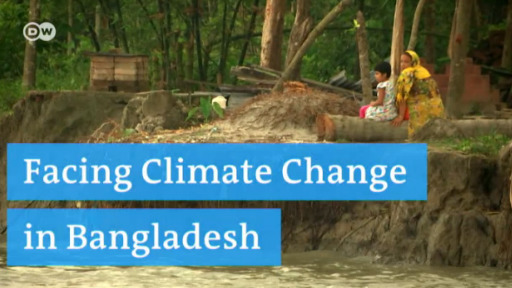 The people of Bangladesh are experiencing drastic consequences of climate change. They lose their land to the sea or suffer from extreme weather events. On the other hand, Bangladesh has a state-owned fund from which climate protection and adaptation projects are financed. But large chunks of the money never arrive at their destination as corruption and mismanagement take their toll. Transparency International showcases these abuses and seeks dialogue with the government so the money can actually reach the people in need. The organization also wants to help the government collect additional money from abroad. In Bangladesh, climate change is already having drastic effects. A third of its surface area is just above sea-level. Now Transparency International is carefully monitoring the country’s use of international climate funds. Across western Africa, people in rural communities are taking the future into their own hands with local initiatives to fight climate change and pollution, and improve public health and education.